Everyone who's anyone in the music world (Celine Dion, Diana Ross, Cher, Drake, Aerosmith... the list goes on) has had a recent stint on Las Vegas. 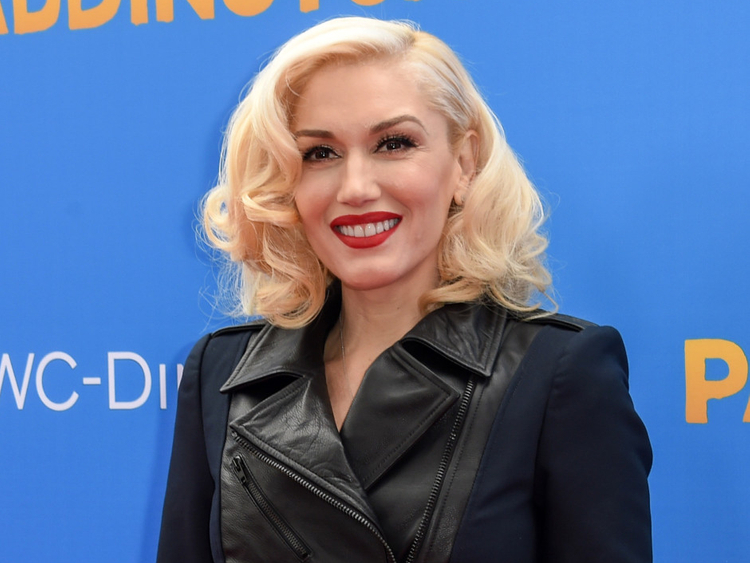 So, when Gwen Stefani kicked off her own ongoing residency, Gwen Stefani: Just A Girl, in June of last year, there was no shortage of star power to take inspiration from. "I never in my wildest dreams could have imagined having a Vegas residency. It's been such a rewarding experience," Stefani said, speaking to tabloid! over email ahead of her UAE concert this weekend. "I did see Jennifer Lopez, Backstreet Boys and Elton John before I started my residency. They're all incredible shows. I think there are a lot of amazing shows in Vegas to see," she admitted. Stefani planned "an undeniable good time" for her UAE fans. The 49-year-old singer headlines the world's richest horse race on March 30 at the Dubai World Cup, before heading back to Vegas to continue her residency until November 2. When I think about all the different things in my life, music is the one thing that satisfies me. Ahead of her Dubai gig, she got candid about being part of the 2019 soundtrack to the box office hit Captain Marvel, past fashion choices, and why she forced herself to write new material to figure out what she has to say next. Q: Recently, your song Just A Girl was used in one of most significant scenes in the superhero film Captain Marvel … What are your thoughts on it? A: When I was new to writing songs, they just sort of channeled through me from the heart. I just tried to say what I was feeling. I had this realisation a long time ago, as you mature as a female, you start to realise your position and where you stand in the world. So, I wrote a song about that, not thinking anyone would ever hear it. And then when it became a hit, I was shocked. It felt amazing to write something people related to that wasn't a love song. Cut to years later, the song truly has relevance today and it's probably more relevant today than it ever has been. I'm real proud of the song and really honored Captain Marvel decided to include it in their film. Q: Your performances are visually intricate and you've always focused on the full production, rather than simply the music. Where does that tendency towards the theatrical, in a way, come from? A: I want the audience to walk away with great memories. I love the creative process and being a part of the set design, production, costumes and such. For my Vegas residency, I've been able to be creative in a whole new way, which has definitely sparked inspiration. I love being able to share my story in a really creative way, through the music, costumes and production. Q: What was your thought process when you first made the decision to go solo [after No Doubt]? A: It just felt like the right move for that time in my life for many different reasons. It felt new, creatively, and I was excited to explore it. I am always looking to challenge myself creatively. Q: Your debut album, Love. Angel. Music. Baby. turns 15 years old this year… How do you look back on that album, a decade and a half later? A: It has been an amazing journey. I just feel really blessed to get the opportunity to share my music with people. Q: There were some who were outspoken about the Harajuku Girls era, due to cultural implications. How do you feel about it now? A: I've always celebrated culture from around the world and always been fascinated by culture. When I was younger, my boyfriend's family was from India and I had never met anybody from India, living in Anaheim. Tony's mom would get dressed in these gorgeous dresses that were full of glitter, sequins and colour. She would wear beautiful jewelry and a Bindi. I was so fascinated by the culture, the fashion, the food and everything about it. To be a 17-year-old girl and be introduced to such a beautiful culture, and incorporate that into your art, being music and fashion, I think that is a beautiful thing. When I went to Japan for the first time, it was incredible. This was after years of my dad coming back from Japan with little treasures. He would come home with anything from Hello Kitty stationary to a Japanese geisha doll. But I think that's what makes this world so beautiful - is sharing culture and celebrating it and appreciating it. That's what I've always strived to do in fashion mainly. It would be a shame if people didn't celebrate each other's cultures. Q: If there is one rumour that you would love to put to rest forever, what would it be and why? A: No, there is not. Honestly, I feel like I've always worn my heart on my sleeve. I don't really have a lot to hide. My whole thing has been the opposite; I love sharing my feelings, especially through music. I think at the end of the day after all these years, you learn that the truth is the truth and it never changes. The truth is really just the people that I love, which is my small circle of family and friends around me. Everything else is either true or not, so rumours really don't affect me. What affects me is my own truth. Q: What does a day off for Gwen Stefani look like? A: I love spending as much time as I can with my kids. If I'm travelling and in a different city, I love to explore and see the sights. Q: Finally, what's next for you? Can fans expect a new album anytime soon? A: When I think about all the different things in my life, music is the one thing that satisfies me. It makes me feel alive and it makes me feel a purpose when I do it. I am looking into doing new music. Yesterday was the first day I forced myself to write some things down and try to think about what I would like to say; if I have anything to stay. Who knows though; I can never predict the future. Definitely would be a dream come true to release more music.